From a Madison Scouts press release: One of the most inspired corps alumni events anywhere is the annual Madison Scouts "Rockin' for a Cure," now in its seventh year. 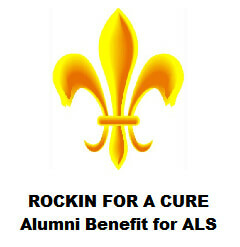 This gathering not only brings together corps alumni and current members, corps fans and other supporters for a great time of music and camaraderie, the event is a benefit for Amyotrophic Lateral Sclerosis (ALS, more commonly known as Lou Gehrig's Disease). In 1999, former Madison scouts corps member and instructor Steve Weekes was stricken with ALS. He founded the first of the corps' benefits on behalf of ALS research. Sadly, Steve passed away in 2005. However, his mission continues on, stronger than ever. How wonderful it is, not only to bring together current and former members and supporters of the Madison Scouts, but also to raise money for such a worthwhile organization. All proceeds go to the ALS Therapy Development Institute for Augie's Quest of the Muscular Dystrophy Association. This year's event will be held April 28 at 5:30 p.m. at the Coliseum Bar, 232 Olin Avenue in Madison, Wis. Tickets are only $20 and there will be a cash bar, food and a giant silent auction with donated items from many corps. Learn more about Weekes and this event at www.rockinforacure.org or www.madisonscouts.org.